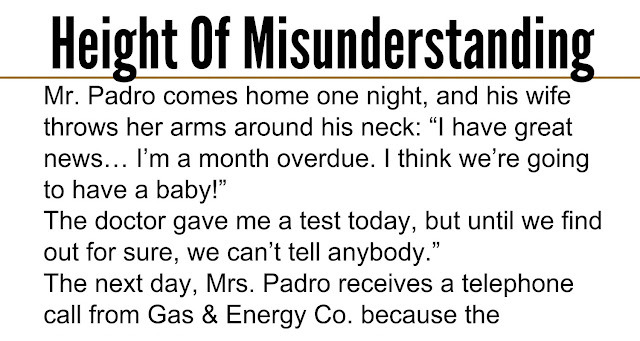 The next day, Mrs. Padro receives a telephone call from Gas & Energy Co. because the electricity bill has not been paid. “Well, ma’am, it’s in our files!” says the Gas & Enrgy Co. guy. That night, she tells her husband about the incident, and he, mad as a bull,rushes to Gas & Energy Co. office the next day morning. “What’s going on? You have it on file that my wife is a month overdue? 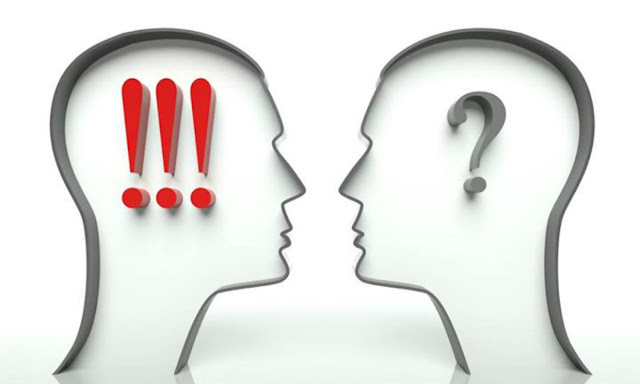 What business is that of yours?” the husband shouts..